Production Honda Jet is ready !!! HondaJet makes maiden flight from Sendai to Tokyo !!! 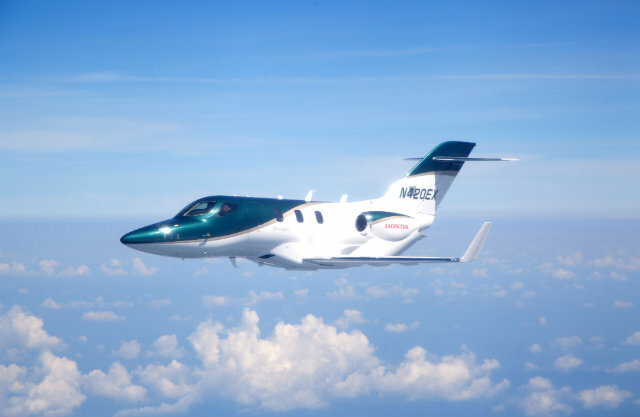 Honda Motor Co.’s first jet plane made its maiden flight Thursday 23/04/2015 !!! The seven-seat aircraft took off from Sendai and landed at Tokyo’s Haneda airport Thursday afternoon. The company is in line to obtain final approval for the plane from the U.S. Federal Aviation Administration and plans to start deliveries to U.S. customers later this year. For the first time at EBACE2015, experience a production HondaJet! The European Business Aviation Convention and Exhibition (EBACE), May 19–21, 2015, in Geneva, Switzerland, is Europe’s premier business aviation gathering. This year, a production HondaJet will be showcased for the first time in Europe!! !